The way we choose to decorate the walls of our homes influences how we feel and how we live our lives. 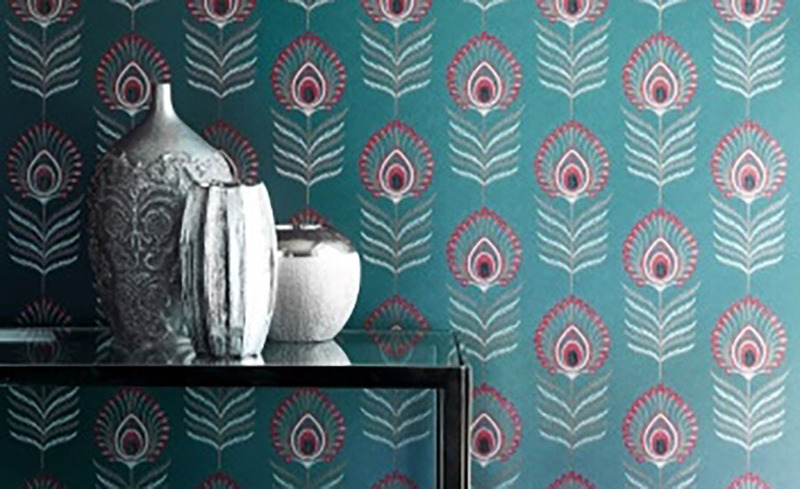 At Window Art Interiors we offer a wide range of designer-led, quality wallpapers. We take a personal interest in you and your home. Cole & Son’s innovative and beautiful designs reflect a long and distinguished history, as well as a continuing passion for new and exciting wallpapers. Part of the Romo group, Black Edition’s wallpapers are marked by a rich, contemporary elegance. Jane Churchill designs tend towards contemporary elegance with an artistic twist, envisioned with modern living in mind. Colefax & Fowler wallpapers are characterised by sophisticated designs and advanced printing techniques. Mulberry Home draws inspiration from its Somerset roots, while remaining a committed pioneer of fashionable trends. Morris & Co produce stunningly beautiful wallpapers which seem to capture the randomness and symmetry of nature. Villa Nova is a young and vibrant brand with the philosophy of creating modern, versatile fabrics, wallcoverings and accessories that offer affordable style. Romo is renowned for its classic and contemporary designs and versatile plains, offering a diverse style and timeless elegance enriched with a sophisticated colour palette. Originality and cutting edge design are at the forefront of the Zinc textile brand. Please include your country code if you live outside the UK.